The SeneGambians will not be in their rights to hang any people quite like the Europeans who partitioned Africa in 1884. Their cheek and audacity is astounding. If they had assembled a few old men from the colonies, they’d easily have identified for them the families that needn’t be separated. On reflection, the division was meant to really divide, and where they united, they created a union of archenemies, lessons learned from slavery, where families and the slaves who spoke the same language were separated. Enter Gambia and Senegal, and you see a classic case of a family divided. Though the sibling rivalry has often ran amok, the odd skirmishes and the border closures, we have proven beyond doubt that blood is thicker than water, always managing to agree on terms, albeit belatedly. Jawara in his memoirs was very critical of the Senegalese and he had every right to. From as far back as 1961, he felt so threatened of Senegalese muscling in The Gambia, that he deemed it necessary to write to the UN Secretary General to convey what he described as his “serious apprehension over Senegalese intentions towards The Gambia.” According to him, this was “to prepare world opinion for acts of aggression which could follow.” Let that sink in, this was all the way back in Senghore’s time! It would be unreasonable to think, that the factors which gave rise to Jawara’s apprehension of Senegalese interests in The Gambia have ceased to exist. If anything, they have been compounded by increase in the volume of trade and traffic, and the need for swifter expediting of goods across our borders. Senegal has never hidden her intention of wanting a bridge across Farafenni. I’m of the opinion that Senegal also realizes that if a bridge is not built while the honeymoon is still on, it may never be built again. The first full agreement for the elusive bridge was reached from as far back as 1975! While secrecy surrounds the agreements between the two countries under the Barrow government, we remind them that Jawara did lament the lopsided deal he was forced to accept, which included clauses like the Chairmanship of the confederation to ever remain in Senegalese hands and Jawara’s security detail to be Senegalese! The day the Senegalese decided to walk out on the deal, the old man had to drive himself to work! They recalled their soldiers, in the night, without any notice! The conditions which gave rise to Sir Dawda accepting the unfavorable terms are still poignant today. When Senegalese troops parachuted into Jambur village on July 31st 1981, by default, they staked their claim to a say in the sovereignty of The Gambia. The kingmaker is seldom disobeyed. Senegal’s long term intention towards the Gambia is to make it a province, although to most Gambians, this is the most ridiculous, ludicrous conspiracy theory ever. We hope that the above quoted admissions of ex-president Jawara of his foreboding on Senegal, from as far back as the early sixties would grant some credibility to what we allege. Senegal has never been as close to achieving that dream like now. 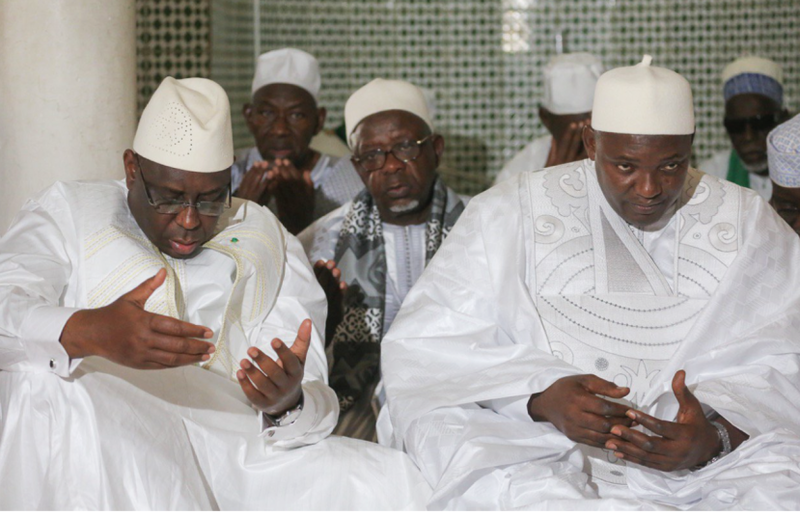 The belligerence of Jammeh had put a halt to that ambition, but the naivety that the new government is exhibiting, especially in matters of international relations is manna and quails for the analysts in Senegal. Senegalese diplomacy is among the most effective in the world. Senegal has good diplomatic relations with Israel, Iran, China, America, Saudi and the EU. This requires such skillful juggling as can be appreciated by only those who understand a thing or two on the tumultuous waters that make up the territory of diplomacy, especially in these times. Unfortunately, this is more than can be said for our operators. Its only last week that announcement for the creation of “Position of adviser to the president on legal matters, to be paid for by the British government” was made! How naive does one have to be, to openly, even proudly, one may add, proclaim such brazen sale of sovereignty? Since when has the tune ceased to be called, but by the one who paid the piper? My fear is that while Senegal knows what it wants from us, we are in a position of yes sir, no sir, and three bags full sir. Unless the Gambia learns the art of diplomacy real quick, it might be wise to practice on your French, it would become useful when the takeover is complete. The opinion expressed in this article is solely the author’s. This does not represent the editorial views of GLife Magazine.